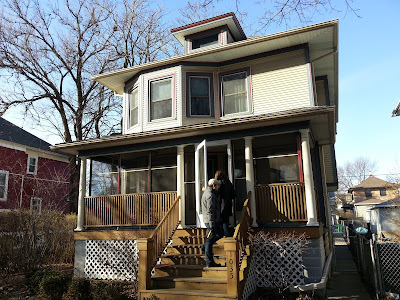 The Chicago Real Estate Local: Back in Oak Park! We were back in Oak Park this past weekend with our clients looking for a house. Oak Park has been a solid option for our Chicago clients looking to move from condos or renting and into owning a single family house under $400,000. More Oak Park house statistics coming up this week. You may also read more Oak Park posts here!